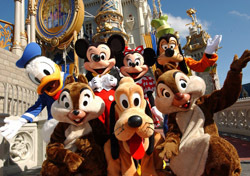 With summer fast approaching, many travelers are itching to find the ultimate in entertainment with a theme park vacation. Don’t let a hurting economy and expensive entrance fees stand in the way. Discover 10 of the country’s top theme parks that offer summer fun on a reasonable budget.